Irene Doutney was born on 22 June 1948 at the Royal Women’s Hospital in Paddington. Her parents were Yvonne and Charles Doutney. She had an older brother named Charles. Irene lived with her family at 140 Victoria Street, Potts Point until she was 9 years old. She started school at St Canice Catholic in Kings Cross. She later attended St Joseph’s in Arncliffe, Arncliffe Public School, St Mary’s Star of the Sea in Hurstville and Moorefield Girls High School. She completed a Bachelor of Arts at the University of Sydney in the 1990s. Irene’s father Charles Doutney (1908-57) was an artist. His work is held in the collections of the Art Gallery of NSW and the National Gallery of Victoria. Charles Doutney contracted leukaemia after serving in the Royal Australian Air Force in New Guinea during World War 2, and he died in 1957. Irene’s mother Yvonne died of cervical cancer in 1969. Irene died in June 2018. Irene worked at a number of Sydney theatres in front of house and box office roles, including the Balmain Bijou and the Paris Theatre in Darlinghurst. She worked in subscriptions for the Nimrod Theatre, Sydney Theatre Company and the Belvoir Theatre Company. During the 1990s she worked as a researcher and curator at the Powerhouse Museum and the Mint. She was also the curator of the History of the World Exhibition at the Coca-Cola Museum at Circular Quay. Irene held numerous volunteer roles in the political and community spheres. In 1970 she attended her first protest for the Vietnam War moratorium. She was also a participant in the first Sydney Gay and Lesbian Mardi Gras in 1978. Irene began her formal political work as a volunteer for the Member for Bligh, Clover Moore MP. She volunteered in Clover Moore’s office and on polling booths. She also worked occasionally for the Australian Electoral Commission as a Returning Officer. Irene joined the Greens NSW in 2006, where she was an active member of numerous policy working groups including housing, economics, Occupy Sydney, women, Aboriginal & Torres Strait Islander and human rights. In 2007 Irene began volunteering at the office of Sylvia Hale MLC. She later volunteered for David Shoebridge MLC when he replaced Sylvia in the NSW upper house. Irene worked on a number of research and policy projects with the Greens NSW until the 2012 Council elections. Irene was a City of Sydney Councillor from 2008 to 2016. During this time, she was a speaker at many rallies and protests for a range of issues including housing, marriage equality, anti-war, WikiLeaks, homophobia, Aboriginal rights, police violence and Millers Point. In 2006 Irene joined the coordinating group for Redwatch, a resident action group covering Redfern, Waterloo, Eveleigh and Darlington. She remained an active member until 2016 when she resigned due to ill health. Irene was a member of the Factory Community Centre Management Committee from 2005 until 2016. She became a volunteer project coordinator at the centre during this time. Irene also worked as a homework support officer at the Redfern PCYC. Irene coordinated the Open House Project in 2006-08, making it possible for pensioners to attend Sydney Opera House performances for only $5. She coordinated transport for attendees, in addition to administration and promotion. Irene moved into public housing in Redfern in 1996, after 11 years on the waiting list. She became a tenant representative for her building in 2006, liaising with Housing NSW over various issues. In 2011-12 Irene was a member of the coordinating group for Lift Redfern, a community group that campaigned for the installation of elevators at Redfern train station to improve accessibility. 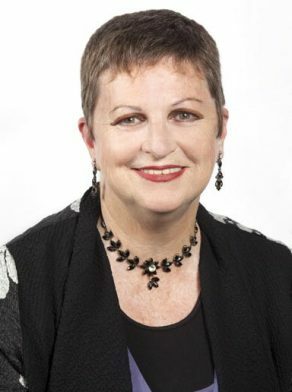 Irene Doutney was first elected to the City of Sydney Council in 2008. She was one of two Greens councillors (the other was Chris Harris). In 2012 Irene ran as the Greens Lord Mayoral candidate. She was re-elected in 2012 as the only Greens member of the City of Sydney Council. During her time on Council, Irene focused on helping disadvantaged members of society and protecting the natural environment. She was committed to helping people within the City who were being left behind by urban growth and development, including Aboriginal and Torres Strait Islander peoples, public housing tenants, seniors and people with disability. Irene considered some of her biggest achievements on council to be securing a wide range of essential maintenance improvements in public housing estates throughout the City and helping to preserve urban biodiversity. Animal rights was a strong theme during Irene’s two terms on the City of Sydney Council. She campaigned against the culling of native animals in the City, including the legal shooting of Cockatoos in Potts Point and the forced relocation of Grey Headed Flying Foxes from the Royal Botanic Gardens. She also worked with community members who cared for abandoned cats and conducted de-sexing and re-homing activities. She successfully campaigned for the introduction of a Biodiversity Officer to consider the impacts of projects on wildlife and habitat. During her second term, Irene worked with the residents of the Millers Point housing community to oppose the relocation of the tenants and the sale of the properties by the NSW Government. She held strong concerns about the movement of disadvantaged people to the urban fringes. Irene considered financial divestment an important tactic to advance a number of causes. Her work led to the City’s 2015 divestment from companies who profited from the offshore detention of asylum seekers. The City committed to reject any businesses dealings with these companies. In 2016 the City also committed to reviewing Council’s investment policy to divert money away from banks that invest in fossil fuels. During her time as a City of Sydney Councillor (2008 – 2016), Irene was Deputy Lord Mayor (29 February 2016 – 9 September 2016); Deputy Chair of the Environment Committee (September 2008 – September 2016); Co-chair of the Aboriginal and Torres Strait Islander Advisory Committee; Executive member of the Sydney Coastal Councils (2012 – 2013); and a member of the Green Living Centre Reference Committee.